The one thing that Fender are best known for doing exceptionally well, after their guitars, is making amps. 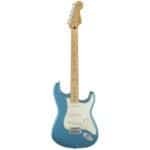 They have released quite the number over the years, and were one of the earliest manufacturers – they needed to make them for people to play their new Fender guitars through. It was a sensible business decision when a lot of people were probably still claiming the whole thing was just a fad! The Hot Rod Deluxe first appeared in 1995, and since 2010 is on its third iteration. It has one of the best reputations around, so let’s see what it can do. Looking at the list of specs, and it’s all very unassuming. It’s a high-end amp, and that’s something that’s difficult to reflect in listing the components that go into it. I guess with this in mind, it’s the American construction and the Fender brand that you’re paying for as much as anything else. So far so good. At this stage, it doesn’t look too exciting, but we’ll get into things a bit later in the review when we start looking at the specifics of how these specs come together. Hmm… it’s easy to say “people playing Fender guitars” here, but there are plenty of examples of pleasant humbuckery through one of these amps. I would say that it would work well for anybody looking for literally the most classic of classic blues rock tones, whether they favor single-coiled Fender guitars or something with humbuckers, like a Gibson Les Paul or SG. Obviously, you can do what you want with it, but when we start looking and listening, this amp was made for cranking gently: a bit more than clean, but the warmth of the tone would be wasted on anything too distorted. Let’s take a more detailed look at some of the core specs from above. The big sell apart from the brand is the tone. Those tones are determined by the valves involved. In this case, that’s three 12AX7s in the preamp section, holding hands with two 6L6s in the power section. That’s a standard looking setup for amps of this size. It’s also a considerable part of the weightiness of this amp! Taking a look at the box that houses these valves, and it’s made of 7-ply maple and birchwood. In terms of durability and that, there’s nothing too exceptional about that. Sais ply comes with a traditional black Tolex covering. The speaker is contained behind silver sparkle grille cloth. I know it’s kind of a traditional Fender design point, but I’m not a big fan of it. I feel like something glittery would fit better if they were going for a full outrageous design. Behind that grille cloth is a Celestion G12P-80 speaker – that’s been on Hot Rod Deluxes since 2010. Hey, remember that time Fender put out a product with their name on it that was so poorly constructed it fell apart when you looked at it? Yeah, me neither. That’s not a thing. If you’re spending this amount of money on an amp, it’s likely that you’re a gigging musician, so you need something that’s going to be able to survive the wear and tear of lugging an amp in and out of venues. It’s hard to imagine or demonstrate or test for that in a review. The best I can do is give it a gentle shake, and firm prods, and see if anything moves or rattles that shouldn’t. That’s what I did, and it all seemed completely solid. Shaking and prodding aside, I took a closer look at the amp, and everything was cleanly put together. Everything that was supposed to be flush was. There was nothing that implied anything but the greatest care in the craftsmanship of this amp. I feel that with amps, even more so than guitars, good quality electrics are super-important. I’ve certainly had more problems with such things in amps! I took a look, and it all looked fine, but honestly, I wouldn’t call myself an expert on electrics. I tried a single coil and a humbucking guitar to try and give the fullest idea of what’s going on. My default EQ settings are bass at four, and middle and treble each at six. My preference is for gain to be set at six – I like it driven, but not too dirty. When I was going through the parts, I mentioned the Hot Rod Deluxe comes with two inputs. Let’s take a look at them. Input 1 is a regular input, while Input 2 is slightly lower ohmage, which gives it a softer tone. Plugging in a single coil guitar to start with. There’s no doubt it was rocking in Input 1, but I felt the brightness of the single coils made it a bit harsh for my liking, no matter what the channel. I’ sure others would like it, but it wasn’t for me. Switching it to Input 2 though, that’s where it was at. The warmest of cleans, and treading the line of dirt on the first overdrive channel would keep any lick-orientated blues rocker satisfied. I normally consider playability in terms of how much enjoyment a guitarist gets from playing a piece of kit, as that will determine how much they want to play it. With the likes of a straight up, all quality, no frills, classic valve amp, there’s less to say than with the likes of a modeling amp that does 784 different things! Here’s the thing. With something as straightforward as this, the most thing you have to enjoy is the tone. That’s what it’s for. With the various channels and the two inputs, you might be surprised by how much versatility you can actually get out of it. If you switch between single coil and humbucking guitars during your set, the dual input will cover you, and the three channels should cover off most classic electric guitar sounds. If you’re looking for a solid gigging amp that will do all of the valve tones you’ll ever need, you won’t need to look any further than the Hot Rod Deluxe. If that’s the sound you love, it’s got all of the playability. An amp like this will never be cheap — Check out the latest discounts and prices here! 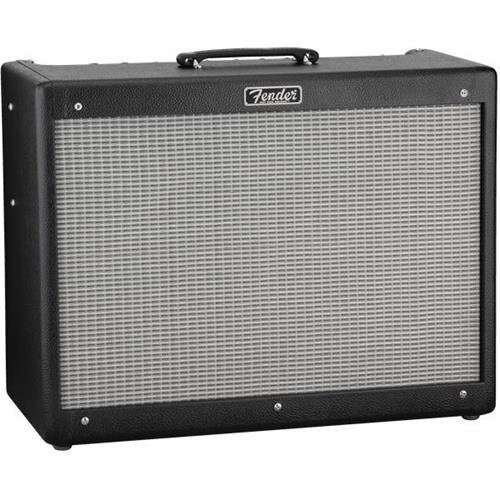 There are plenty of alternative amps if the Hot Rod Deluxe IIIhas peaked your interest, but isn’t quite hitting home. I think it’s actually illegal to talk about guitar amps without mentioning Marshall, so let’s get that out of the way! I mentioned that the second dirty channel on the Hot Rod was a bit pointless, as getting to that level of dirt detracted from its valviness. 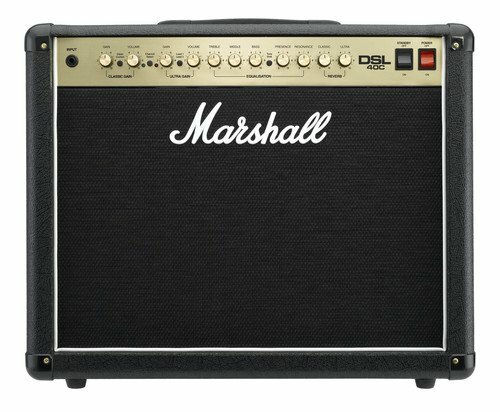 If you need to play harder, but retain the warmth of a valve amp, Marshall’s DSL40C should be a more than satisfactory alternative. It retains all-valve goodness, looks as traditional as traditional can be, and is fudging loud! This one is very much for the rockers. I like it best with a set of humbuckers and some fat riffs. 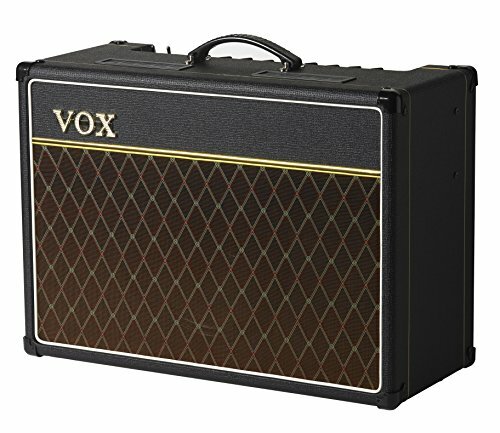 If you like some British flavor for your sound, but the Marshall is a bit heavy, the Vox AC15 will do the job. A lower output than the Fender or the Marshall, at 15 watts, it’s a very refined sound. There’s a debate of whether 15 watts is powerful enough to gig with, but if you’re spending this much on an amp, your amp will be miced up and going through monitors, so it’s no problem. 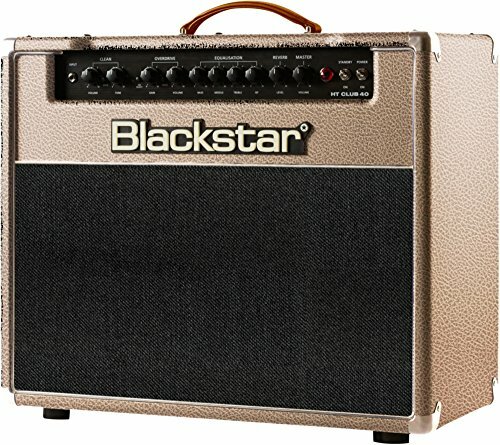 Blackstar amps are amongst the most highly regarded of the newer amp brands. Their HT Club 40 is one that this reviewer was very close to buying once. It’s a unique amp, and I’ve never seen a valve amp like it. 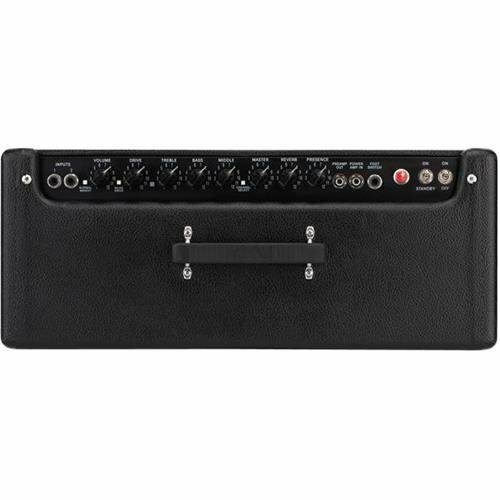 It essentially comes with a knob that allows you to adjust the voicing to more American or more British tones. As it’s a knob, you can dial in as much of a balance of either as you want. Very cool! 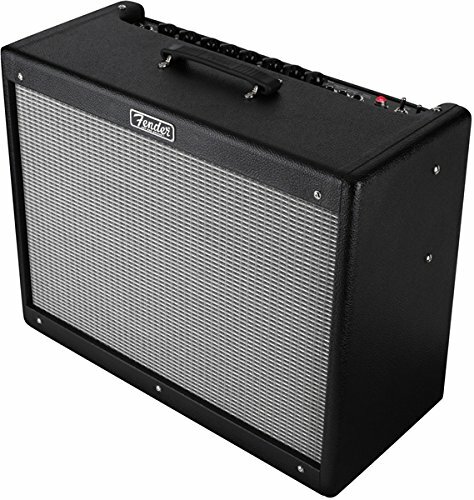 I would suggest the Fender Hot Rod Deluxe III is an ideal amp for a mature musician, who‘s looking for quality tones, rather than just being the loudest person in the room. It’s an ideal gigging amp for such a musician: it’s highly likely they’re beyond the days of trying to impress people with the size of their stack. Guitar Amps Explained- What are the Different Varieties?